Please be sure your story is categorized as GENERAL FICTION before posting. Central High School, Princeton, NJ: Trapped in the guidance office while violence rages around them, Gwyn, Alaina, Jacque and Delilah struggle with whether to follow school procedures or find some other way to escape deadly, tauntingly repetitive attacks. As the shooting unfolds, it provides a framework for the individual narratives of these four women- a counselor, a parent, two teenage students- and others: Gwyn’s carefully planned life disintegrating around her daughter’s mental illness, Alaina’s spiraling lack of control within her abusive marriage, Jacque’s confusion and guilt about how her mother’s cancer affects her own relentless drive for success, Delilah’s inability to find her place in an affluent and academically competitive school. These stories expose a slice of our society: a society where our frantically protective procedures and policies are often revealed as a flimsy facade. 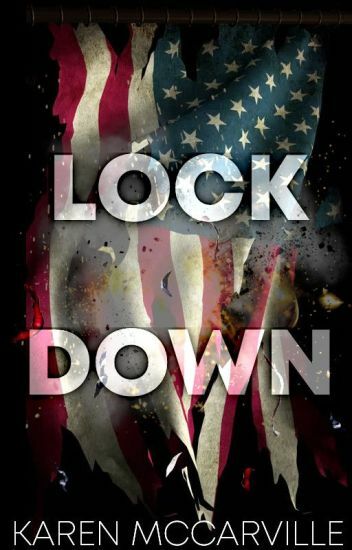 Updates on Lock Down every Friday! I like the cooperative spirit on Wattpad. To that end, I compiled a book that has titles everyone can use. After an era of peace slowly declines, a dystopian world emerges from its ashes leaving the people of the Union to suffer under the rule of a merciless tyrant. Written as the journal of the only surviving member who is left with the haunting memories of a world gone up in flames, the gathering is a tragic story of pain and loss. Blurb: Michael Harris is stuck in a loop…an experiential loop where he lives the same day over and over. His family misses him, but has no idea how to help him as they are completely unaware of his plight. Will the choices they eventually make help or hurt him? Can he work to get himself out of the loop? Or will this be the end of his life’s journey? The ending is unclear. ‘Eindeloze Verte’ is a book written in Dutch. The book tells the story of the 20 years olds, sister and brother, Rania and Amine. Also the people who crosses their paths makes a part in this refugees book. "It is the year 2028, Rania decides to fled their country, Algeria, and to head in the direction of Nord or Mid - Europe. She left her brother and family in worry behind." Climate refugees and challenges for both the South and the North of Europe. The areas around the Mediterranean Sea are at challenge. Due to floods, severe weather, mudslides, violent gusts of wind, famines and accompanying problems, the inhabitants of various countries flee to the middle and north of Europe. An Algerian family finds refuge in Belgium. The story is both told from the standpoint of Rania and her brother Amine. This is how they tell about their homeland, their dreams and their environment and how it suddenly, but not completely unexpectedly, changed. They also tell about their flight and their lives in the refugee camps, but also how their lives changed both positively and negatively. However, both do not give up on their dreams and future. An up-to-date future story that takes place in various worlds. A story full of hope, dreams, friendship, love and an unexpected message! This began as a 2000-word entry for a writing contest, and after it won, I was encouraged by many to expand it into a full-length novel. It is now completed, rewritten and edited, and it is now being polished for publication. I portray the wealthy lifestyle and all its appurtenances through experience, having made my first million in the 1980s when that small amount could still buy something. "Tyler pulled back in confusion. I could tell he had been just as far away from the lab’s test tubes and calculations as I was. As the beeping grew louder, and more insistent, however, the fog that had been clouding our vision began to clear. When the red light to our left started to blink in frantic rhythm with the beeping we both jumped apart and raced to straighten ourselves. These two scientists have really done it now. Jump into their short story drama in “Reactions”. Whips and chains excite, but words will never hurt. Wielded with intent, words can be the cruellest weapon available to humankind. When innocent nineteen year old student, Annabelle Bloom, attracts the attention of billionaire bad boy, Spencer Harkness, she soon comes to realise that pain can be more than physical. Deeply troubled, Spencer has a thirst for violence, and much more besides. Never satisfied, he will stop at nothing to get what he wants. When his eyes settle on Annabelle, he knows exactly what he wants. Drawn into a dangerously exciting world of possession and obsession, Annabelle becomes something she never thought possible: desirable. Driven wild for a woman he has to have, Spencer needs to make Annabelle his own, at any cost. Stella Montgomery looked perfect on paper. She had a well-paying career, no student loan debt to speak of, an amazing best friend, and someone who might turn out to be a really amazing boyfriend. Stella had been top of her class, when she was a student, and routinely did well at work. No one could even come close to guessing what she had been through, and she intended to keep it that way. They didn’t know about the nightmares, the scars, the flashbacks. They didn’t know the abuse she had endured, and the life she had to create for herself to get on even footing with her peers. They didn’t know about the medication she took regularly. They didn’t know about her previous inpatient stays. They didn’t need to know. All they needed to know is that she is perfect now. As she is finally starting to feel comfortable with her self-branded insanity, Stella receives an unexpected letter. A letter that should really be impossible. The reality of her decision reflects that she never realized what she was getting herself into. She only has one shot to prove herself, but that’s nothing new for her. Warnings: Story will contain depictions of physical and verbal abuse, sexual abuse, self-harm, suicide, eating disorders, and other mature topics. “Don’t you trust me?” he sounded a bit hurt. Summary: Jack is a struggling writer, fighting his own insecurities in the pursuit of creating something of lasting literary value. Depressed, deflated and at rock bottom, he pins hope for eventual success on a beautiful woman, on a muse. The only problem is he’s already married to Sally, his supportive girlfriend. But true to form, Jack selfishly goes after what he believes will liberate him, destroying the life he’d created to chase a dream that was always beyond his reach. Summary: A story about a young man who sleeps with an older woman overseas, only to be told weeks later that’s she’s pregnant with his child. He doesn’t believe her at first but then starts to doubt his own reservations. She is no longer contactable but he thinks she is lying to him anyway, so he moves on with his life. But 15 years later, once he’s met the girl of his dreams and they decide to start a family, he finds out he’s impotent. And so begins his quest to find this woman and find out, once and for all, whether she did, in fact, have his baby, something that is no longer possible for him. Paige lives in a small, religious and conservative small town. She goes to a Catholic HighSchool where they tell her that it’s a sin to be gay. So what is she supposed to do when she starts to have feelings for another girl? What will her parents think? What will the town think? The year is 2001. 23-year-old Kevin Dundas is a journalist for Ultrasonic, Australia’s biggest music magazine. After writing a scathing review of their debut album, Kevin is tasked with writing a massive cover story on nationwide pop superstars Cre8ive. This requires him to move back to his hometown of Adelaide, South Australia for a year. Little does he know that he is about to be taken on one of the biggest emotional rollercoasters of his life. For some reason Wattpad won’t let me post my cover or the link so please bear with me. High school senior Sabrina Himmelschein is an Orthodox Jew who lives in one of San Francisco’s iconic Postcard Row houses. At a speech tournament she meets Neil Cannon, a Mormon who lives in Wine Country. They form a bond, but reluctantly break it; the religious and cultural gulfs between them are too wide to bridge. Four years later, they meet again, in an unexpected location. Their families and their faiths have been thrown into turmoil. They just might need each other now. Just in time for Passover, the final chapter (about a nerve-wracking seder) has been uploaded! Summary: Immortality isn’t all it’s made out to be and Charles Acton, a young immortal discovers this the hard way. Betrothed to another immortal, per family tradition, Charles is set to marry to secure a pure immortal bloodline. However, Mr. Acton’s heart has been set on another for years now; Thomas Pembroke. Being engaged to another is the least of Charles problems as Thomas himself is an aging mortal. Faced with a dilemma, Charles must pick between following family customs or following his ever-yearning heart, even if his heart will belong to a mortal.